"Europe's the mayonnaise, but America supplies the good old lobster." - D. H. Lawrence. "A woman should never be seen eating or drinking, unless it be lobster salad and Champagne, the only true feminine and becoming viands." - Lord Byron. The AMERICAN LOBSTER, Homarus americanus, is a species of lobster found on the Atlantic coast of North America, chiefly from Labrador to New Jersey. Within North America, it is also known as the northern lobster or Maine lobster. It can reach a body length of 64 cm (25 in), and a mass of over 20 kilograms (44 lb), making it the heaviest crustacean in the world. Its closest relative is the European lobster Homarus gammarus, which can be distinguished by its coloration and the lack of spines on the underside of the rostrum. American lobsters are usually bluish green to brown with red spines, but a number of color variations have been observed. 25 Tasty Lobster Recipes Anyone Can Make - Food Network Canada. Here's Why People Are Using the Lobster Emoji to Rally for Transgender Representation - TIME Magazine. Maine investigates restaurant that gave lobsters marijuana - "Restaurant owner says blowing smoke over lobsters is meant to lessen their suffering before they are dropped in boiling water." MAINE LOBSTER COUNCIL - "The World's Finest Lobster Comes from Maine." Maine Lobster Recipes - "From Lobster Benedict to Barbacoa De Langosta, there are endless ways to serve the sweetest, most tender lobster in the world. We’re pretty sure you’re going to want to try them all." Perfect Lobster Bisque Recipe - Allrecipes.com. This is a 1-in-30 million lobster - "A calico lobster turned up at a Maryland fish market. The chances of finding one: 1 in 30 million." 'We live in a lobstocracy': Maine town is feeling the effects of climate change - "When lobsters are life, environmental change affects livelihoods, and warming waters will ultimately bust the lobster industry. The American lobster is a symbol of Maine, central to the state’s ethos and economy." Atlantic LOBSTER - since 2006. "We distribute over two million pounds of live lobster." Direct Distribution from the Fishermen’s Boat. CLEARWATER - since 1976. "Dedicated to Sustainable Seafood Excellence." Premium Hardshell Fresh Lobster. COLCHESTER OYSTER FISHERY - since 1965. "Suppliers of the Finest Seafood." England. E. Goodwin & Sons Seafood - since 1969. "If it swims, we have it!" Live Maine lobsters of all sizes and specifications. HANCOCK GOURMET LOBSTER COMPANY - since 1946. "Each morning, our culinary team rises with the sun to make the day’s orders. A pure Maine experience inspired by generations of family recipes, made from scratch without compromise. And each order? Well, it arrives ready for you to heat, eat and enjoy when the time is right, no prep needed from you. All of our products are made in small batches to preserve quality." LOBSTER OF THE MONTH CLUB - since 2003. "Each month we'll deliver a selection of 4 Maine lobster tails shipped ocean-fresh from the same waters that supply some of the most exclusive restaurants around the world." lobsteranywhere.com - "Maine Lobster Delivery Online Since 1999." 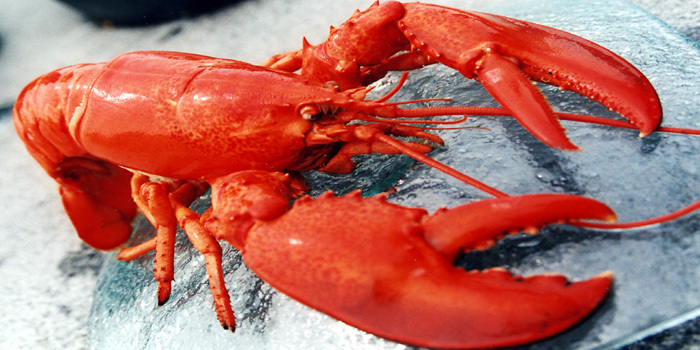 LobsterAnywhere is your trusted source for the best Maine lobster delivery to your front door, overnight, guaranteed. And we do not just ship Maine’s iconic crustacean, we also deliver fresh cooked lobster meat, authentic lobster rolls, New England clam chowder, bisque and plenty of frozen tails for sale. Maine Lobster Direct - since 1995. "Your Maine Seafood Connection." Shipping Fresh Live Maine Lobsters. The Lobster Place - since 1974. "NYC's Best Lobster & Seafood Supplier." 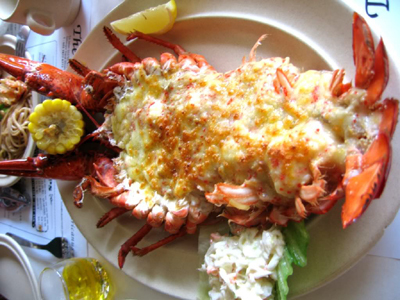 Lobster Place has provided NYC with the best lobster and seafood for more than 4 decades. Visit our market or have fresh seafood delivered to your door. W. Harvey & Sons - since 1955. "Cornish Lobsters." Lobsters are normally caught from spring through to late autumn and "rested" in our sea tanks for at least 24 hours before despatch. We only buy lobsters from The South Western Approaches. Some lobsters are net caught so we are able to supply "jumbo" lobsters for really hungry people or for display purposes. Live and cooked lobsters are currently available, lobster meat will be available soon.